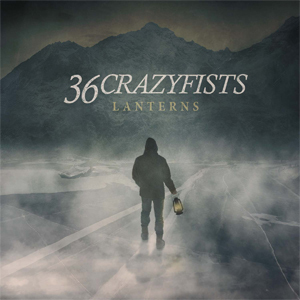 Alaska's 36 CRAZYFISTS will release their deeply personal new album Lanterns on September 29 through Spinefarm Records. It is their second release for the label and the follow up to 2015's Time And Trauma. Music often functions as that proverbial light at the end of the tunnel and provides shelter during any storm and calm in the middle of tumult. 36 CRAZYFISTS understand this phenomenon firsthand. In fact, the Anchorage quartet-Brock Lindow [vocals], Steve Holt [guitar], Mick Whitney [bass], and Kyle Baltus [drums]-find catharsis within chaos on their aptly titled seventh full-length. The band has shared the first track from the record in the form of "Death Eater" which is streaming now below.